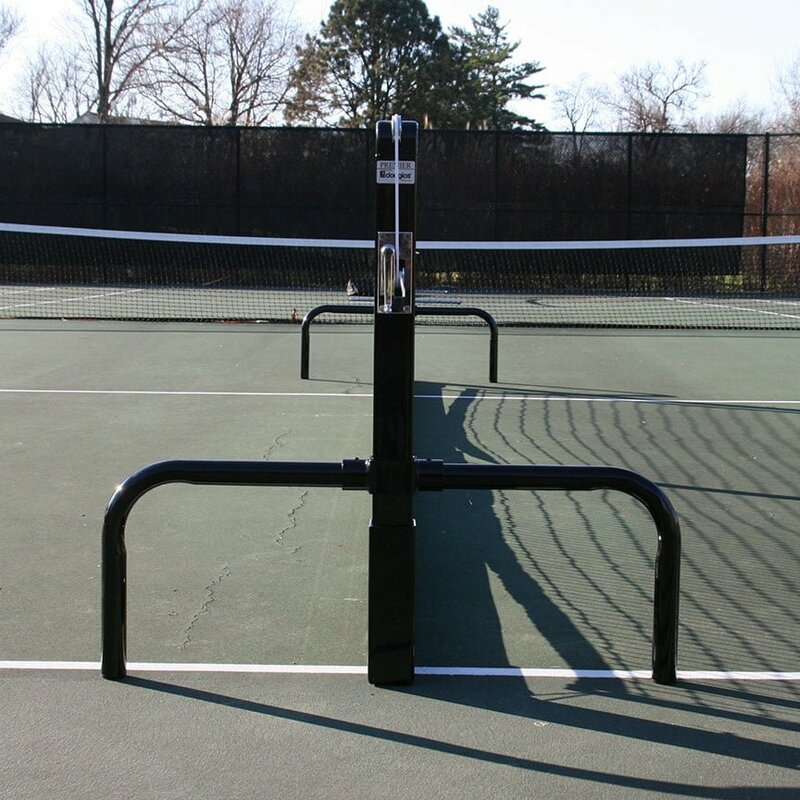 These portable tennis systems raise the bar and are the gold standard when permanent installation is not desired for either indoor or outdoor court applications. 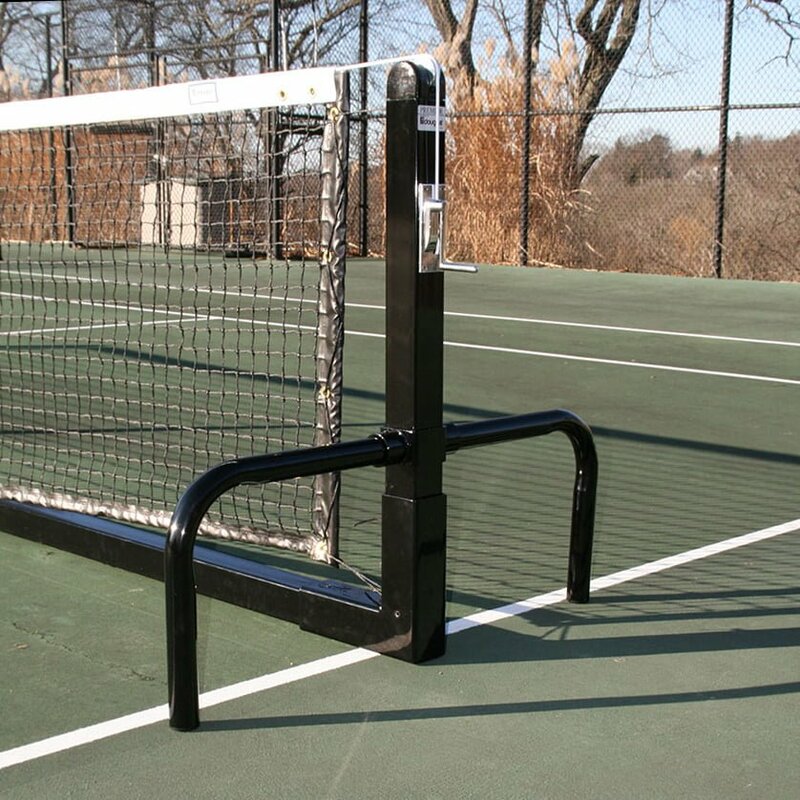 Portable PPS-SQ systems are easy-to-assemble and offer the same long-lasting features as the classic Premier™ SQ tennis post. 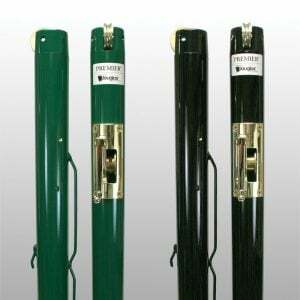 The 3” square tennis post is constructed from heavy-duty 11-gauge steel and are internally wound featuring a self-locking gear mechanism. Gears are constructed of plated steel and the small gear is case hardened. Gear housings and caps are made of cast aluminum alloy. Gear function is 30:1 to ensure a smooth, easy operation. 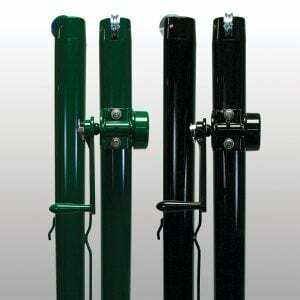 Systems are finished with black baked-on polyester powder coat to resist rust and increase durability. 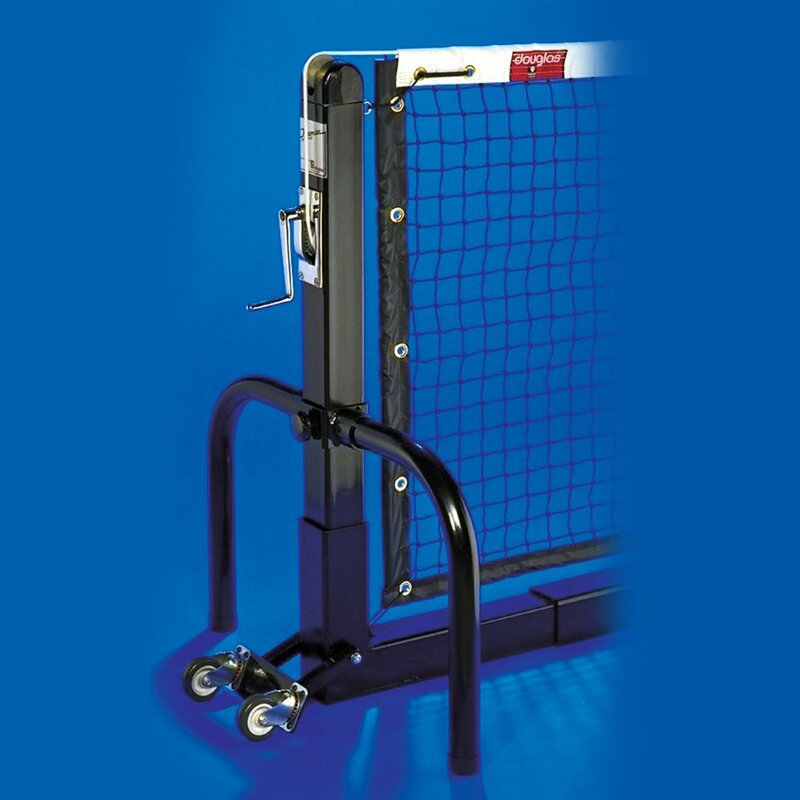 Heavy-duty base frame is also constructed of 11-gauge 3” square steel and 3-1/2” square 3/16” heavy-wall steel. 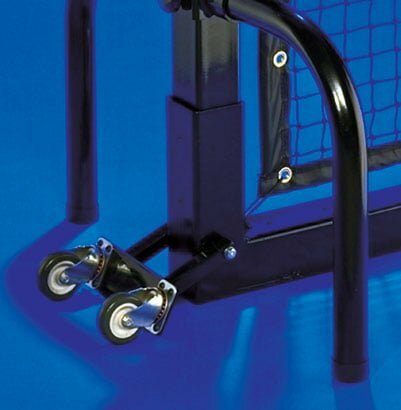 Net easily attaches with the top cable and to an eye-bolt on the base frame; no lacing rods are needed. Systems are complete with the 3.5mm TN-28 tennis net and a Velcro center strap. 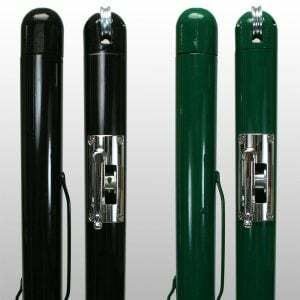 Flush mounted gear plate cover and removable handle are chrome plated. System dimensions: 42″ x 42’L for standard tennis or 42″ x 33’L for Singles Tennis. 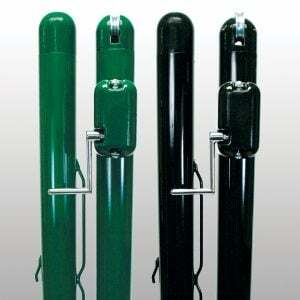 Custom sizes are available up to 42′ long and 42″ high. Please contact me with more information about: "PPS-SQ Premier™ SQ Portable Tennis Systems".